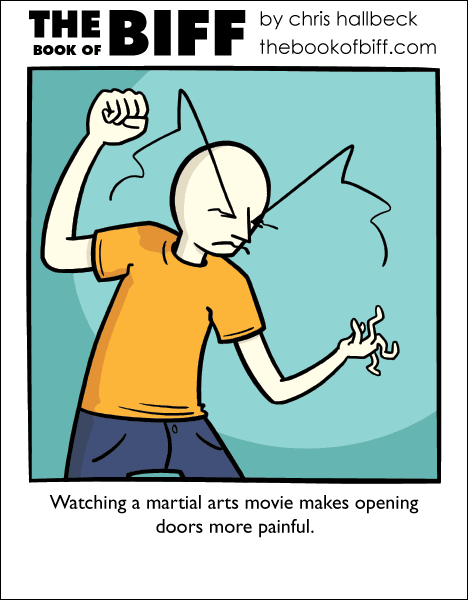 For me I usually have a period where I start kicking and punching things closed. It’s satisfying to get a nice solid SLAM out of things. It’s usually not much of a problem until my wife opens the refrigerator and everything I knocked out of the door shatters on the ground. If you watch “Kung Pow!”, you might start yelling “THAT’S A LOT OF NUTS!” at people. And using gopher-chuks.